CMS Logistics’ warehousing facility is located in Dubai’s Jebel Ali Free Zone next to the Jebel Ali Port. 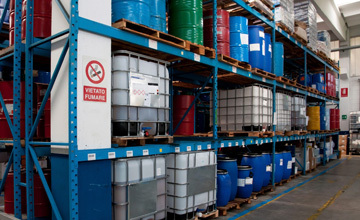 We specialise in Harzdous chemicals, Temperature controlled cargo, and general cargo equally. There are separate chambers for each of type of cargo with dedicated loading terminals. Our team brings strong domain knowledge to the table such as FMCG, Food, Electronics, Lubricants, Petro Chemicals to mention few. We understand clients need of cost reduction, timely delivery and integration. Our efficient support system enables them to achieve their strategic business goals. We partner and cater to their needs in the critical stages of storage, product availability and quick time to market in terms of the distribution. Our warehouses are equipped with automatic racking systems offering value-added services such as packaging, labelling, segregation, bundling, in-plant services, order fulfilment and distribution or as per client requirements. Temperature 18 degree to 22 degree. Temperature 18 degree to 24 degree. 24/7 3rd Party security, Access Controlled facilities, CCTV coverage. Office space can be provided for Customer implants. 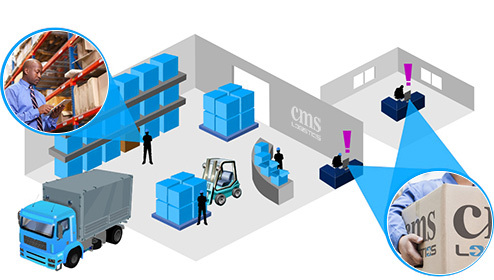 CMS has facility has 10115 pallet Locations and 4000 Sqm of floor space for bulk storage of cargo. Our Software Technology, INFOR – 10 is RF enabled commonly known as Exceed. Bonded & Non Bonded Storage. © Copyrights 2017 CMS Logistics LLC.